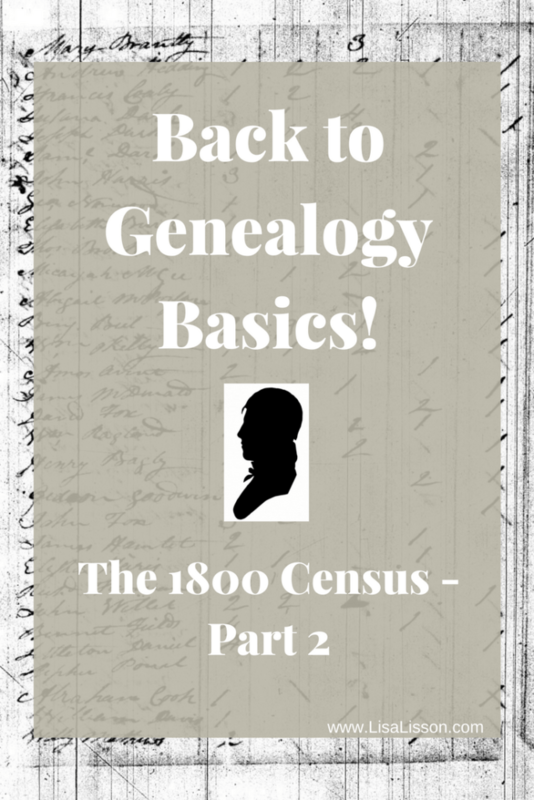 Back to Genealogy Basics - The 1800's Census, Part 2 | Are You My Cousin? Genealogists often divide the 1800 census records into 1850 and beyond and pre-1850 census records. Beginning with the 1850 census record, all members of the household were named. Census records from 1790-1850 only named the head of the household. Other family members were simply noted with a mark in an age category. 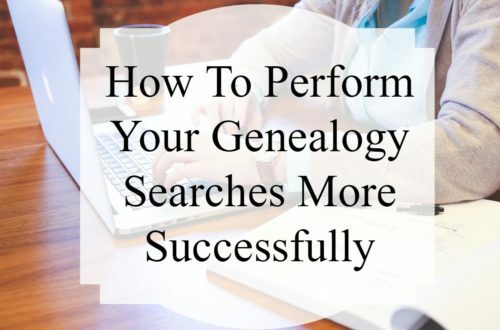 So, what’s a genealogist to do? How do you find your ancestor hidden among the tic marks. Let’s take a look first at the head of households. Peruse an pre-1850 census list and you will find most of the names listed are men. You will, though, come across the names of women. This indicates the female is a widow. The first thing to notice in looking at this census record is that information categories span two pages. 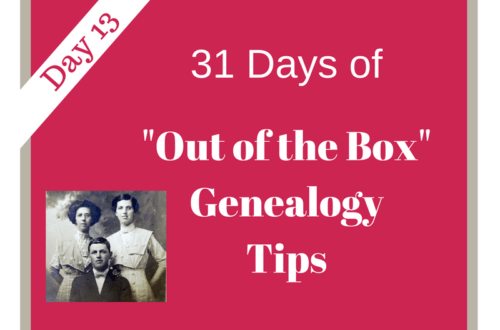 Don’t miss important information about your ancestor’s household on the second page. Begin looking at the make up of the 1830 Harwood household. George is the head of household and represents the free white male age 30-39. His wife [Elizabeth] is represented as the free white female age 30-39. The couple had 6 children listed on this census: 1 white male under 5, 1 white male 5-9, 1 white male 10 – 14, 2 white females under 5, and 1 white female 10-14. To determine who the children in the family are, other known records must be compared with the census record. 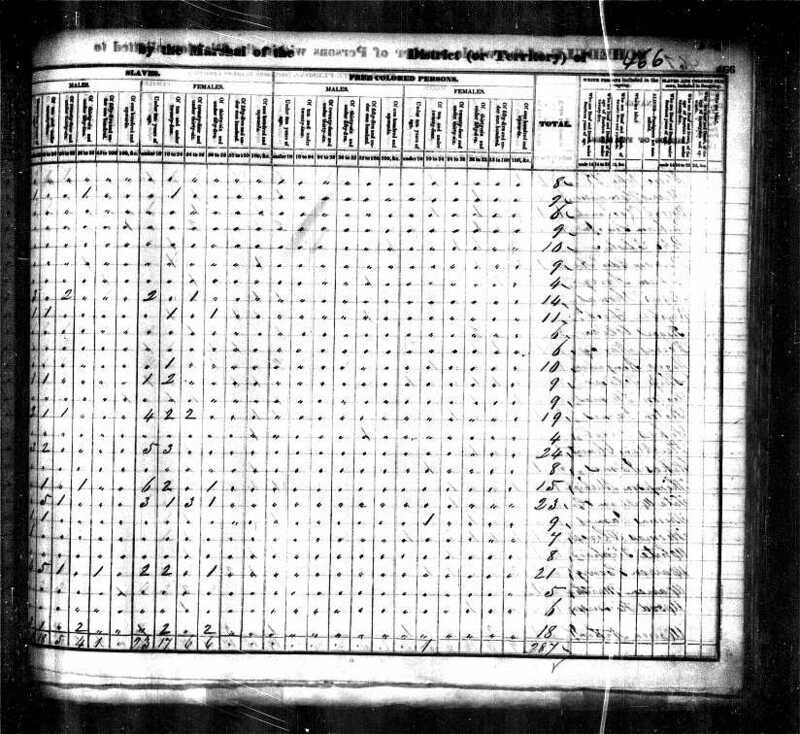 In this case, the Harward family Bible helps determine which children are which in the census. 1 white female 10-14 – Unaccounted female – No known children of George and Elizabeth Harward fits this age category. This female could be a niece or other relative living in the household. 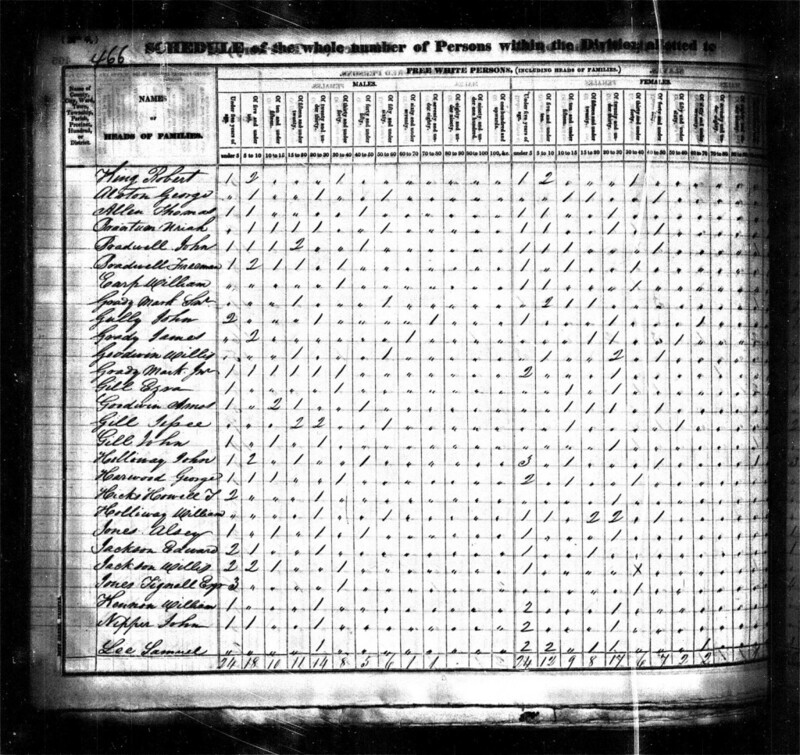 Page 2 of the 1830 census record indicates George Harward did not own any slaves or have free colored persons in his household. Other categories on the second page (of the 1830 census) include if anyone in the household is blind, deaf, or an alien. TIP: When I assess these pre-1840 census records, I keep a blank copy of the record beside me. Those category heading can be tiny and hard to read on a laptop, so, I find having a hard copy close by helpful. You can find blank census records here. You can certainly find your ancestors in the pre-1850 census records, you just need to use other records in conjunction with it (and a little math, too!). Other useful records to use beside these pre-1850 census records include post 1850 records, wills and estate records, and marriage records. Who Is Close To Your Ancestor? Look at who is listed close to your ancestor in the census record. Those surrounding your ancestor indicate neighbors and possibly other family members. In other words, you are looking at your ancestor’s neighborhood and knowing the neighborhood can be important in breaking down future brick walls. Unfortunately some of these pre-1850 census records are alphabetized, which destroys any sense of neighborhood/community where your ancestor lived. In the above example, a loose attempt at alphabetizing the names appears to have been done. Don’t shy away from those pre-1850 census records. Dive right in! 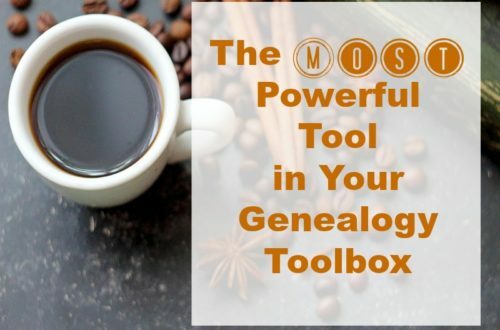 Your “non – head of household” ancestors are in those census records and you can name them. looking for death record for above iaround Shawnee County bear Olathe KS after 1880-1890. Also looking for birth record in KY in 1815. Donna, for the time periods you are looking at, formal birth and death records likely do not exist. Check with KS and KY to see when they started formally recording those. Check alternate records like wills/estates, etc. You may find these posts helpful: https://lisalisson.com/2016/10/24/how-to-determine-your-ancestors-birth-date-even-if-no-birth-record-is-found/ and https://lisalisson.com/2017/04/17/how-to-find-your-ancestors-death-date/ . 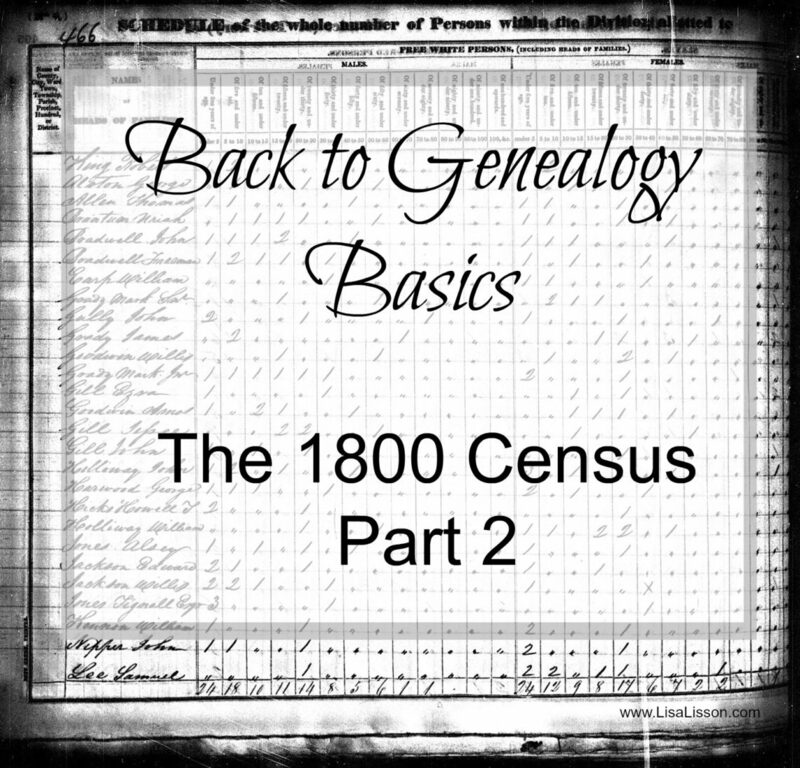 Lori, Here you go: https://lisalisson.com/2016/03/18/back-to-genealogy-basics-the-1800-census-records/ .